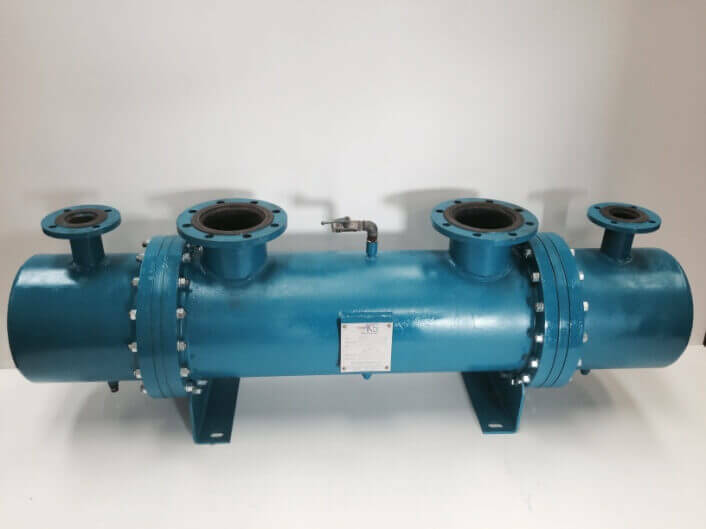 AKS direct replacement shell & tube heat exchangers condensers and Tube Nests from pattern, basis drawings or survey on board your vessel or from your plant. A very popular service providing an alternative replacement as opposed to OEM heat exchangers, often saving many weeks on delivery and huge savings on cost. 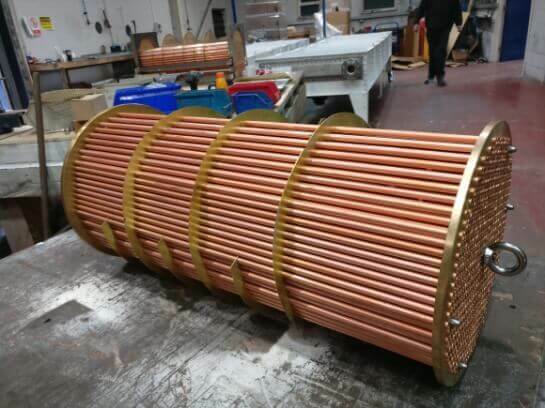 Complete main/auxiliary engine oil coolers, water coolers, and steam condensers manufactured in our works to specification and backed by third party inspection Lloyds Register or as requested. 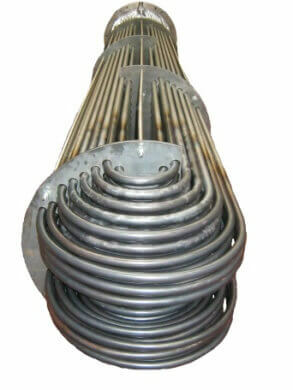 Replacement Tube Nests manufactured using materials to specification, all tube nests fully pressure tested. AKS direct replacement shell & tube heat exchangers condensers and Tube Nests from pattern, basis drawings or survey on board your vessel or from your plant. A very popular service providing an alternative replacement as opposed to OEM heat exchangers, often saving many weeks on delivery and huge savings on cost. Complete main/auxiliary engine oil coolers, water coolers, and steam condensers manufactured in our works to specification and backed by third party inspection Lloyds Register or as requested. Replacement Tube Nests manufactured using materials to specification, all tube nests fully pressure tested. AKS new range of shell & tube heat exchangers condensers and Tube Nests from customer performance data, ideally suited to 1 off bespoke or small run production AKS can design complete heat exchangers or tube nests to fit within the client’s specific requirements and footprint from a variety of materials. AKS new range of shell & tube water/water & water/oil coolers with a maximum working pressure of 10 – 30 barg and a flow rate of 20 – 300 LPM dependant on cooler selection. Navailable for polluted watersNaval Brass tube plates as standard with option for 90/10, 70/30 or Titanium.